Iain began his working life in the family business full-time at the age of 16, having worked part-time in the trade after school previous to that. As a fifth generation in the well-known fish processing business R. R. Spink and Sons, it is probably true to say that it’s in his blood! With Iain’s father Robert at the helm, RR Spink and Sons was a thriving family business, with a reputation second to none for top quality sea fish. 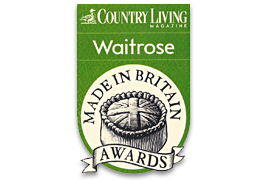 The customer base then included many top hotels and restaurants and highly prestigious stores such as Harrods and Selfridges, as well as the supermarket chains of Waitrose and Tesco. The ultimate accolade however was the gaining of two Royal Warrants, namely those of the Queen and of the Queen Mother. Those very high standards set by Iain’s father provided a benchmark for Iain to follow. During the next 24 years, Iain continued to learn all aspects of the fish trade from buying on the market right through to processing, storage, and freezing. 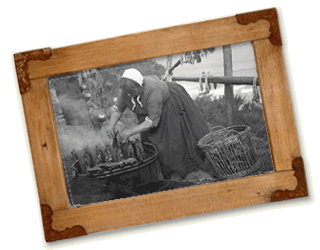 Making Arbroath Smokies was just one of the many skills learnt during those years, however, as it turns out, it was probably the most valuable one. In 2001 there was a change of ownership within the business, which in turn led to a different direction for the company. This resulted in Iain re-evaluating his career, and, seeking a new challenge; he left the fish business and embarked on a degree in Applied Environmental Science. This allowed him to combine many of his interests such as the great outdoors, fishing, hill-walking, and the environment with a useful qualification. However, many years of long hard hours working in the fish trade had left its impression, with Iain still having the desire to continue with the family tradition of Arbroath Smokie making. 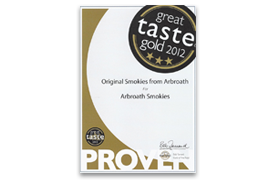 So, with a long summer vacation looming, Iain found himself with an opportunity to renew his ‘acquaintance’ with the Arbroath Smokie and set out ‘on the road’ to demonstrate to a wider audience, how Arbroath Smokies are made, and also allowing them to enjoy them freshly made and at their very best. Iain’s exact recreation of the original Arbroath Smokie making process using wooden barrels, hardwood logs and hessian sacking has proved to be a very popular attraction at many outdoor events. Iain‘’’s packed calendar now includes events such as the BBC Good Food Show, the Golf Open, T-in-The-Park, Royal Highland Show, Scone Game Fair, Dundee Food and Flower Show, several Highland Games as well as a regular weekly slot at several Fife Farmers Markets. Naturally, with a BSC in Applied Environmental Science, environmental issues are given much consideration, with every possible avenue being explored and assessed in order to minimise further damage to our fragile environment. 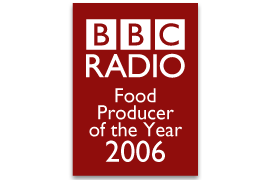 In November 2006 Iain received national recognition when he was awarded the coveted title of ‘BBC Radio Food Producer of the Year’. 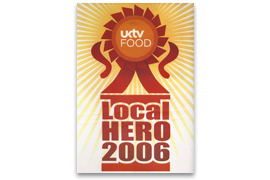 Further honour was bestowed 2 weeks later in the UKTV’s ‘Local Food Heroes’ when he became ‘Scottish Champion’ before going on to the grand final and 3rd in Britain overall. 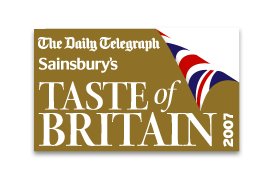 This high standard continued to result in further accolades for Iain’s unique product with several other prestigious awards coming his way, the latest being winner of 'Scotland's Food Hero' in the Scottish Food and Drink Excellence Awards 2015. In addition, Iain has been featured in several magazines such as ‘Olive,’ ‘BBC Good Food,’ and ‘Countryfile’ as well as national newspapers such as The Daily Telegraph, The Guardian, The Times and Scotland on Sunday’s list of ‘50 Things every foodie should do in Scotland.’ With several cookbooks and celebrity chefs also endorsing Iain’s Arbroath Smokies, his tireless championing of the product, like his father before him, should go some way to ensuring its future for many years to come. Further details on many of these features can be viewed on the media & links page.